This past week (specifically May 24, 2018) marked the 100th anniversary of (*some) Canadian women winning the right to vote in Federal elections. My paternal grandmother was 14 years old at that time. She would've remembered that moment. Various events to commemorate this turning point in history have been taking place this year in the London area, many involving subjects I am working with in my 'Elder Activists' project. In the past week alone, the indefatigable Jean Hewitt has headed up two marches (in Stratford and London) to celebrate women's rights, in which she and others dressed in suffragette fashions and walked with people of all ages. "We stand on the backs of our grandmothers and great grandmothers and great great grandmothers." These are only two of the related events that Jean has been involved in this year. Other events have included talks on the history of feminism in Canada, and dramatic suffragette re-enactments. 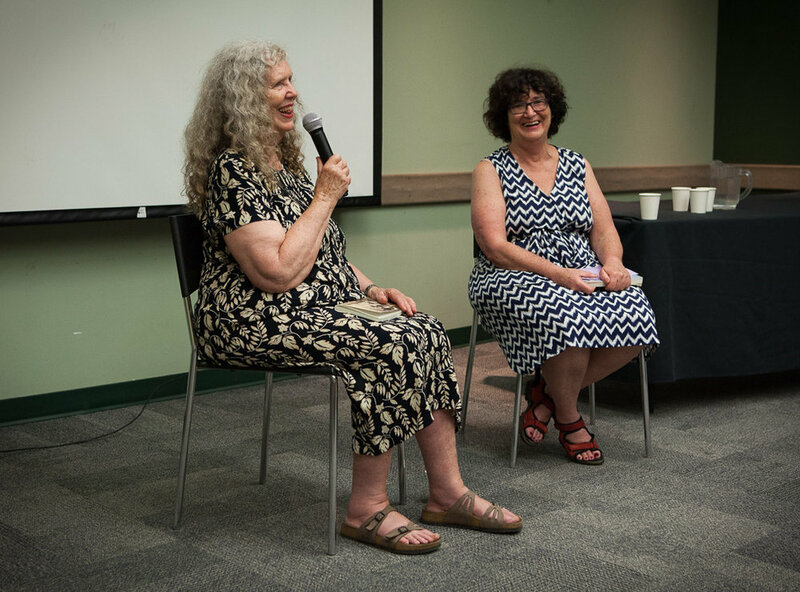 Last night, as part of the series "Women Trailblazers: Writers & Voices for Change", activist poet Penn Kemp and feminist activist Judy Rebick read from their latest books, "Local Heroes" and "Heroes in My Head" respectively. The readings were followed by an insiteful and courageous discussion with the audience. My hat goes off to all of these women, who continue to push envelopes and fight the good fights. *Of note, Indigenous women, women of Asian descent, and others were not allowed to vote in 1918. It was not until 1960 that every woman in Canada would be free to vote in federal elections.